Could the Sunshine Bridge incident result in punitive damages? 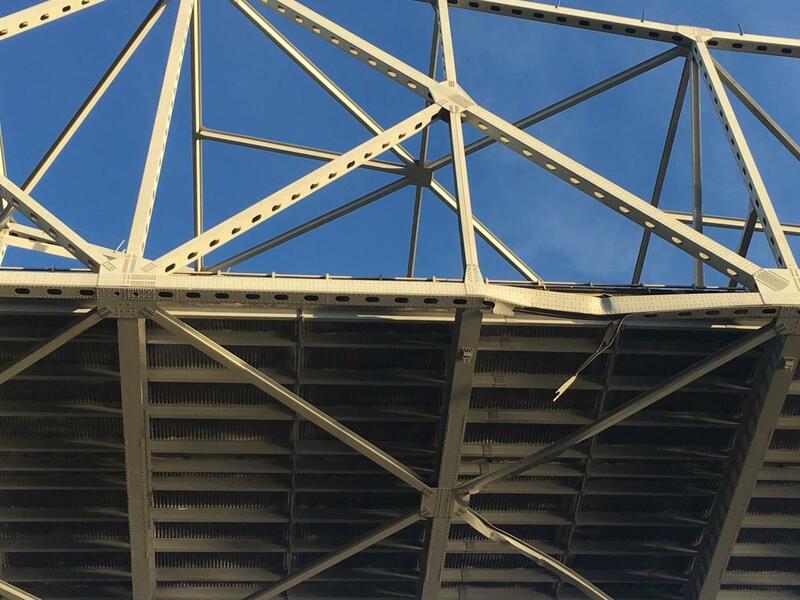 Following a maritime allision that occurred on October 12, 2018, the Sunshine Bridge, which crosses the Mississippi River in southern Louisiana, has been closed due to structural damage. The repairs to the bridge are underway, but they could last until January or February of 2019, totaling nearly 100 days of non-service to local residents and $5 million dollars of bills to the State of Louisiana. Heavier consequences, however, could befall Marquette Transportation Company, the owner of the at-fault vessel. In the last five years, Marquette vessels have collided with 32 bridges—roughly 6 collisions per year, or one collision every 2 months. This already staggering statistic becomes even more alarming when paired with the additional fact that Marquette has faced no penalty or fine for any of the incidents. It is for these reasons that the plaintiffs’ attorneys could seek punitive damages against the transportation company. According to the 2008 case Exxon v. Baker, “punitives are aimed not at compensation but principally at retribution and deterring harmful conduct.” They result from “gross negligence,” “willful, wanton, and reckless indifference for the rights of others,” or “behavior even more deplorable.” The behavior of the ship’s captain is undoubtedly negligent, for he attempted to impossibly pass underneath a bridge with a fully extended crane boom. However, the scope of the dispute at hand regards Marquette Transportation at the corporate level. Thus, one must question if negligence and/or recklessness can be found in the institution. The Exxon case defines that “Recklessness may consist of either of two different types of conduct. In one, the actor knows, or has reason to know…of facts which create a high degree of risk of…harm to another, and deliberately proceeds to act, or to fail to act, in conscious disregard of, or indifference to, that risk. In the other, the actor has such knowledge, or reason to know, of the facts, but does not realize or appreciate the high degree of risk involved, although a reasonable man in his position would do so.” While no specific act of recklessness (at the corporate level) fitting the definition above has been brought to light, it can and must be argued that the frequency and consistency of maritime allisions involving Marquette vessels is exemplary of an institutional negligence resulting in the poor performance of its employees. In fact, the aforementioned case addresses situations in which no concrete reckless action is detected, saying that “heavier punitive awards have been thought to be justifiable when wrongdoing is hard to detect (increasing chances of getting away with it).” Maritime allisions involving Marquette vessels perhaps do not fall into the category of corporate negligence, but they are certainly evidence of it. Marquette Transportation Company is facing a potential class-action lawsuit after one of their crane barges struck the Sunshine Bridge in St. James Parish, Louisiana. The boat operator, who is still unnamed, is alleged to have been travelling along the Mississippi River when its crane, extended roughly 100 feet in the air, struck the southeastern side of the bridge. 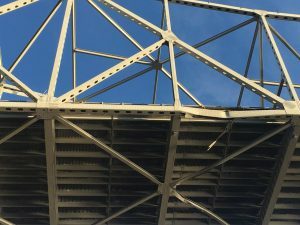 The damages to the bridge could total up to $5 million in repairs. It is reported that the bridge is used by roughly 20,000 travelers every day. The lack of the bridge causes a detour that could add an additional hour to one’s drive, and the added time results in added financial burdens. Standing in the plaintiffs’ way is the ninety-year-old Robins Dry Dock rule which protects operators from being held liable for tertiary economic damages caused by accidents on the water. Subsequently, some maritime attorneys claim that because the accident occurred on a river and because nearby residents do not own the thing that damaged, the lawsuit applies to the bridge’s repair costs alone. The negligence of the barge operator is almost undisputed. Rather, the scope of the dispute surrounds the damages for which Marquette can be held responsible. A recent search through a U.S. Coast Guard database shows record of Marquette vessels colliding with bridges 32 times since January 1, 2013; however, the company has neither faced a single penalty for these incidents, nor paid any compensation. In fact, going back further to 2006, there is evidence that another Marquette vessel struck the same bridge (the Sunshine Bridge) causing $2.1 million dollars in damage. In light of this history, the transportation company could be facing a lawsuit for punitive damages, though no injury or death occurred, on the basis of repeated employee wrongdoings as a result of purported negligence at the institutional, corporate level. 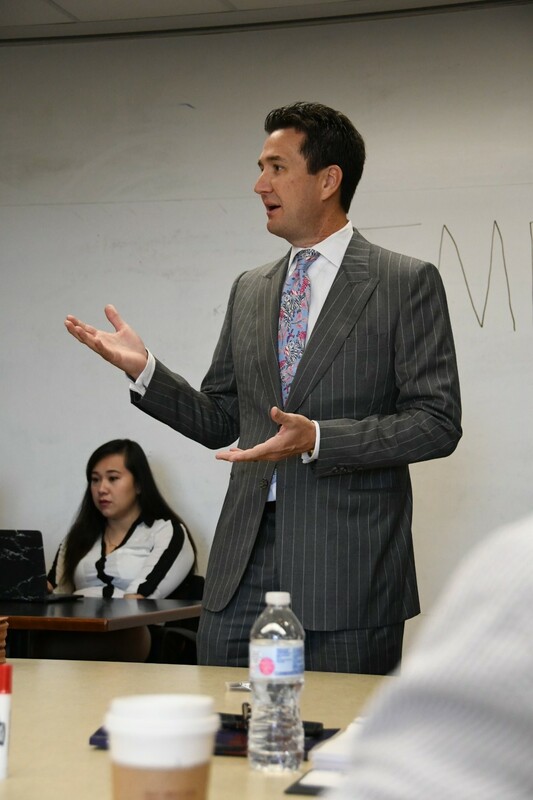 Blake R. David has been teaching advanced trial techniques to LSU Law students entering their final year of law school since 2016. David is a 2001 graduate of the Paul M. Hebert Law Center at LSU. Royal Caribbean International may have to pay $20.3 million to a former employee, who badly injured her hand while working on board a Miami-based cruise line, Voyager of the Seas, which was sailing out of Barcelona, Spain. In August of 2008, Lisa Spearman, a marketing and revenue manager for the cruise ship, severely injured her hand after attempting to help a nurse. While in port, the cruise ship conducted a routine fire safety drill. During this drill, some of the vessel’s semi-water right doors closed and one of the ship’s nurses she tripped and fell when she attempted to open and pass through one of the doors. The plaintiff jumped in to help the nurse, but when the plaintiff placed her hand on the door handle in an attempt to keep the door open, the door swung back and pinned the plaintiff’s hand. The nurse was unharmed, but the plaintiff suffered a broken middle finger, broken index finder, and the nails on both fingers were ripped from the cuticles. After the injury, Royal Caribbean referred Spearman to a doctor in Barcelona. This doctor misdiagnosed her condition and incorrectly treated her injuries. Spearman participated in physical therapy for two years following the incident, while Royal Caribbean paid her a daily disability payment of $25.00, the amount stipulated in her employee disability insurance coverage. Two years after her injury, Royal Caribbean dismissed Spearman, stating that her injury prevented her from performing necessary safety tasks, such as lifting 50 pounds. In 2016, Spearman brought suit against Royal Caribbean alleging the company was negligent regarding the door, failed to provide proper medical care, fired her for a non-performance related reason, and breached her employment contract by refusing to pay her full wages. After a three-week jury trial, the jury found Royal Caribbean at fault and ordered the cruise line to pay the plaintiff $20.3 million in damages, lost wages, and future medical expenses. Royal Caribbean will be appealing the decision of the trial court. On the morning of Sunday, May 20, 2018, a helicopter crash in a marsh in St. Charles Parish claimed the life of one crew member and injured two others. None of the victims resided in Louisiana. One passenger died from his injuries in the crash and was pronounced dead at the scene. Another crewman suffered severe injuries possibly a fractured spine, but the pilot sustained less severe injuries. The pilot and crewmen worked for a company that Entergy subcontracted with to conduct routine inspections on transmission lines. According to the investigation, the helicopter’s landing gear caught on one of the power lines and caused the crash. Three friends preparing for a cookout heard the crash and jumped into action to rescue any survivors. Due to the marshy terrain, the three men jumped into an amphibious vehicle to get to the crash site. Upon approaching the crash site, the men described a “frightening” scene with smoke billowing and the marsh grass ablaze around the downed helicopter. The rescuers took the crew’s helmets and started scooping marsh water onto the flames. One of the men took the pilot to a nearby road in order to direct first responders to the crash site. First responders were able to access the crash site via airboat and rescue the two survivors. After an unfortunate crash like this one, Louisiana Law provides remedies for victims to recover for their injuries. Since the crash occurred during the course and scope of the passengers’ employment, the injured victims may seek worker’s compensation. Moreover, the family of the deceased crewmen may bring a wrongful death action pursuant to Louisiana Civil Code article 2315.2. The family members have one year from the date of this crash to bring the action to recover. In Freeman v. Fon’s Pest Management, Inc., the Louisiana Supreme Court found that the lower courts erred in granting the defendant’s motions in limine and striking the expert testimony of four of the plaintiff’s experts. The lawsuit alleged that the defendant used a pesticide which contained a chemical called fipronil to treat plaintiffs’ home for termites. Following the treatment, plaintiffs began to suffer headaches, nausea, dizziness, and confusion. To prove causation, plaintiffs retained four different experts – three toxicologists and one Certified Industrial Hygienist. In response, the defendant pest management company filed pre-trial motions to exclude the testimony of plaintiffs’ experts, claiming their testimony did not meet the standard for admissibility under Louisiana Code of Evidence article 702 and Daubert v. Merrell Dow Pharmaceuticals, Inc. The district court granted the defendant’s motions in limine, striking plaintiff’s experts because it found: 1) none of the proposed experts had expertise regarding fipronil; 2) none of the four experts had written or contributed to any peer-reviewed articles regarding the effects of fipronil (or any pesticides) in humans; 3) none of the four experts attempted a dose reconstruction to determine the amount of exposure to fipronil allegedly suffered by the plaintiffs; 4) none of the experts reviewed any biological or air quality data to establish the plaintiffs were exposed to fipronil; and 5) no articles or studies reviewed by the experts proved any causal connection between fipronil and the plaintiff’s claimed injuries. In addition, the testimony of all four experts conflicted on the effects of fipronil exposure. A jury in the United States District Court for the Western District of Louisiana-Lafayette Division returned a verdict of $4,271,300.00 to an Iberia Parish resident who was injured while working at a Cameron facility at the Port of Iberia. Jerome Moroux, partner at Broussard & David, LLC, was lead counsel for the plaintiff. This is the fourth consecutive seven or eight figure verdict by Broussard & David, LLC. The plaintiff was an employee of a trucking company/contractor on the day of the accident. Plaintiff’s employer had been contracted by Cameron to assist Cameron in loading a 300,000 pound piece of equipment on to plaintiff’s employer’s transporter. The job was shared between the companies, with Cameron performing the crane lift and Cameron/plaintiff’s co-employees working on securing the load. At the time of the accident, the plaintiff was kneeling on the transporter and in the process of using a ratchet binder to secure the equipment to the transporter. While operating the binder, the ratchet binder came apart and plaintiff fell four feet to the ground. There was evidence that one of Cameron’s employees had handled the ratchet binder and given it to plaintiff’s co-employee before the accident. Cameron denied liability completely, arguing that they had hired plaintiff’s employer to perform the work based on its experience and expertise; further, Cameron argued, that the failure of the ratchet binder was Bayard’s employer’s fault—not Cameron’s. The evidence proved that Cameron actively participated in the job and was operating the crane while the accident happened. At trial, plaintiff offered expert and lay testimony confirming that, under both company and industry standards, the crane operator had several duties and responsibilities, including insuring that the proper tools for the job were examined before the job began and that the plaintiff’s employer performed and attended pre-job safety briefings. Secondly, Cameron failed to follow its own company rules with respect to pre-job planning. Plaintiff’s safety expert was Mr. Robert Borison.